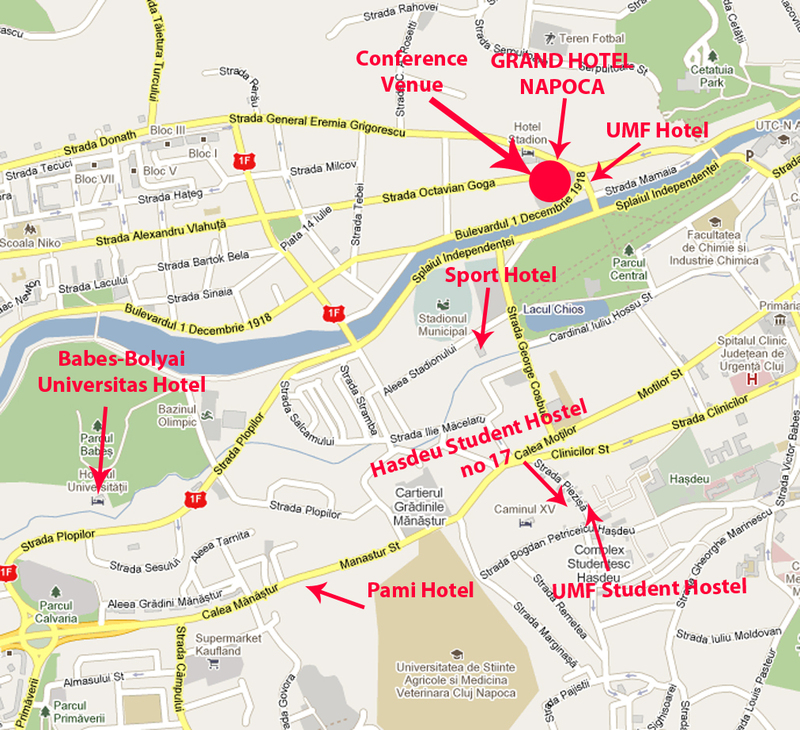 For accommodation please select the hotel, the language and follow the steps required by the chosen hotel. - 20 minutes by car from the Cluj International Airport. - 10 minutes walking from the Historical City Center. Breakfast price: 13 RON/3 EUR.